An exercise in designing a sellable product from the ground up for a client. 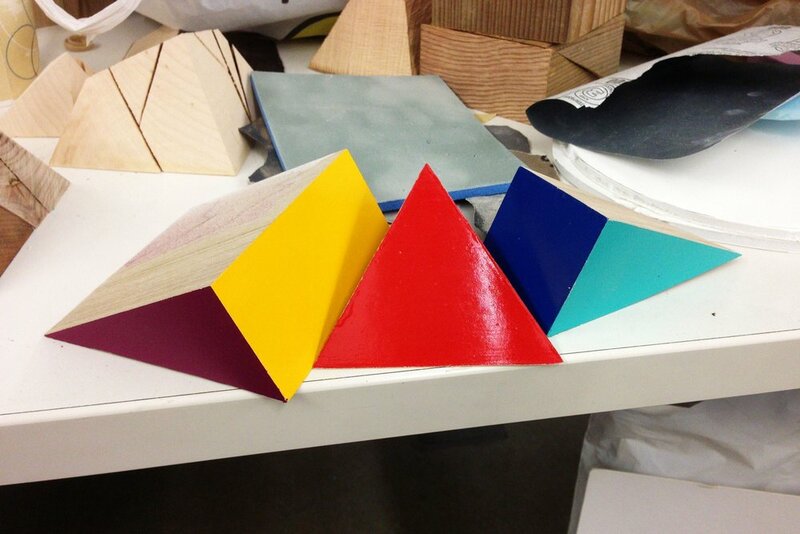 The task was to create a viable product for Drexel University's Design & Merchandising Store. 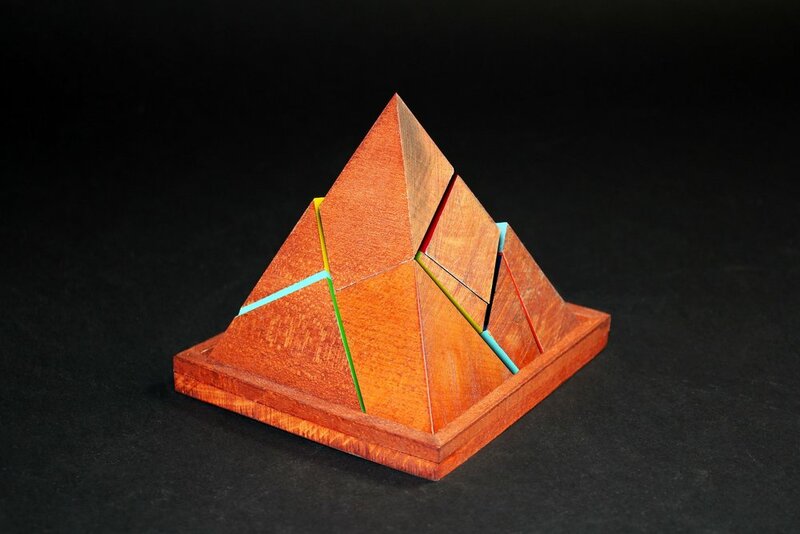 Among several competing products, my pyramid puzzle was selected by the client to be featured in the store. Creating the pyramid was very process-driven and was only realized after several rounds of product design from ideation to prototyping. The client wanted something that was hand-made and would fit the demographic of the store's products. I decided that I would need to make something which I'd never seen before. I wanted to give life to a single piece of material, and since I love geometry and puzzles, I decided to combine the two to create a challenging puzzle. My idea was to create a beautiful product which could be admired while idle and enjoyed when engaged. Part of this process was to determine how I would color to enhance the user experience. I find puzzles to be immensely therapeutic and I wanted the user to share my process. The puzzle is deceivingly challenging, it is about the journey after all. 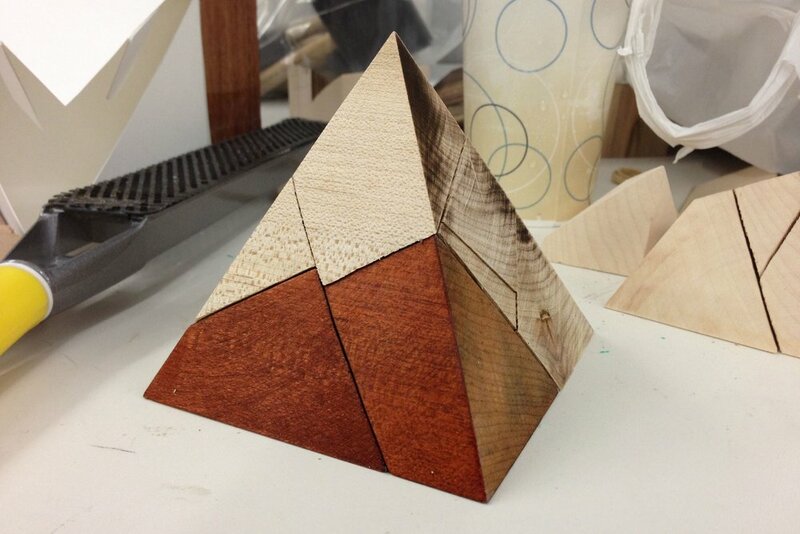 Since it was designed for a store at Drexel University, the pyramid is aimed at college students and professors who may want to add some intrigue and fun to their work spaces. 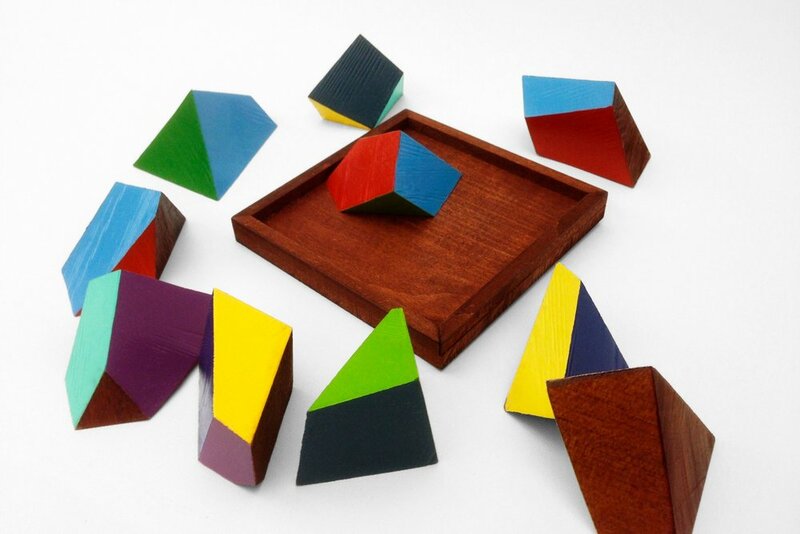 The Pyramuse Puzzle is a problem solving challenge and therapeutic journey using spatial awareness and patience. 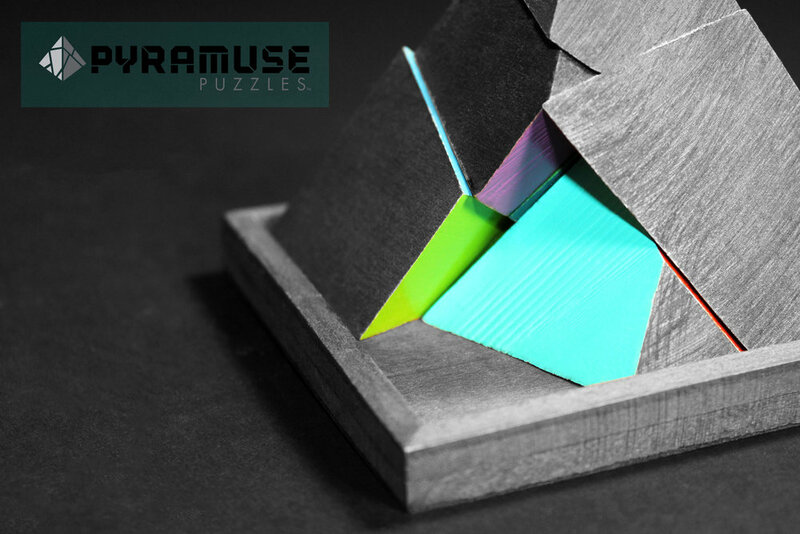 If the puzzle aspect isn't for you, then it serves well as merely an object of intrigue.